surfing playa was spotless very clean, tv only had 1 uk channel which showed cnn news repeats!! there was no cooker, you had 2 rings to cook on, no toaster, there was a microwave you had a hairdryer,a pool view apartment is worth is, we didnt!! 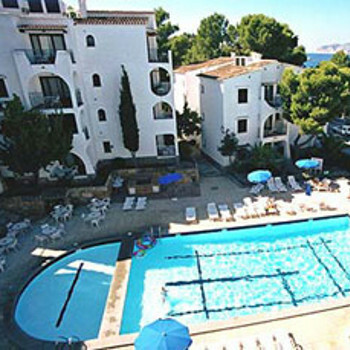 these apartments are a 10min stroll to shops and beach irish quater is about 20mins walk, we were happy here as it close to everywhere and quiet, the pool was nice and never anymore than 15people around the pool.the safe is 16 euro a week and you get 3 euro back when you leave, the staff are friendly,i would reccommend these apartments to anyone,as they very clean, basic,close to everywhere,all you need really.. Very good apartments with separate bedroom as opposed to a studio. Swimming pool cold due to time of year, but otherwise a good size. The only reason I would not stay again is because we tend to try a different location/country each time. Try Astro bar owned by Andreas - very friendly man. Good value tasty food and drinks. This is down the road from the apartments on the way into the centre.